Recently, while backing up in a parking lot, my foot hit the brake and the accelerator at the same time. My SUV lurched backwards quickly before I could step on just the brake. Luckily, no one was walking in back of me and I turned the steering wheel enough to miss the cars in the row behind. I was more worried about hitting people. 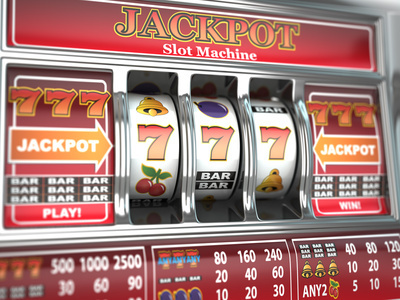 I wish my luck tranferred to Vegas and the Lotto. It’s an uncomfortable feeling to look back on that event even though no one was hurt. The mental nausea of the moment overpowers, forcing me to think about something else. What if there had been people there? How would my life have changed because of that mistake? Sometimes near-misses from my past gang up on me, and I am forced to remember how lucky I am to be here, alive. A heaping mug of gratefulness I gulp from. I have a wonderful, brave and caring wife. A fantastic and intelligent daughter. A house. Two dogs. A job that allows me to work from home, knock on wood. A stocked refrigerator. Friends in person and online. Clearly, I am living proof that life isn’t fair if I got this much. Oh, there’s the cystic fibrosis. Yeah, that’s been, well, not good. No doubt. But I inherited a variation of it that’s allowed to me have everything and more in life. I have no right to complain about CF* – or anything else. That’s it. Clearly today, I’m feeling pretty lucky and grateful to the Universe that bestowed it on me. I know all of my good fortune could change from this point forward. However, looking back on my life, there’s no arguing that I’ve been a very lucky man. *I reserve the right to complain during hospital stays. ll2jack on My last dog? unknowncystic on My last dog? C on My last dog? 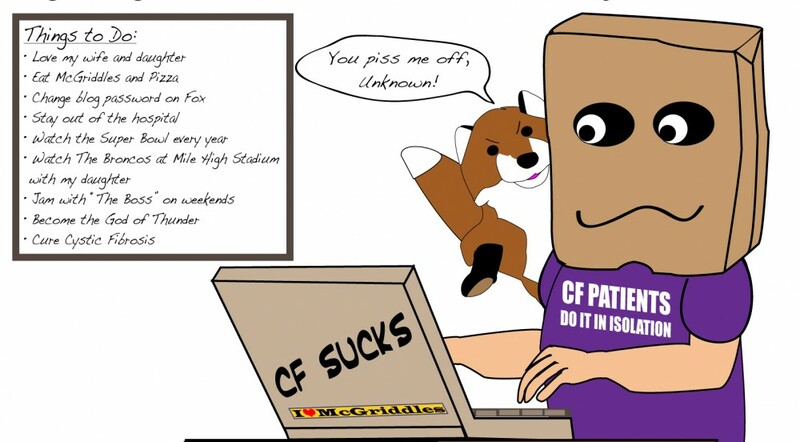 What is CF? Please click this link. I have no shoes, but . . .